So, what do we have here? In essence there’s different watches, which come in a limited edition of 2.020 pieces sold separately and an additional 55 which are sold in a set of five. 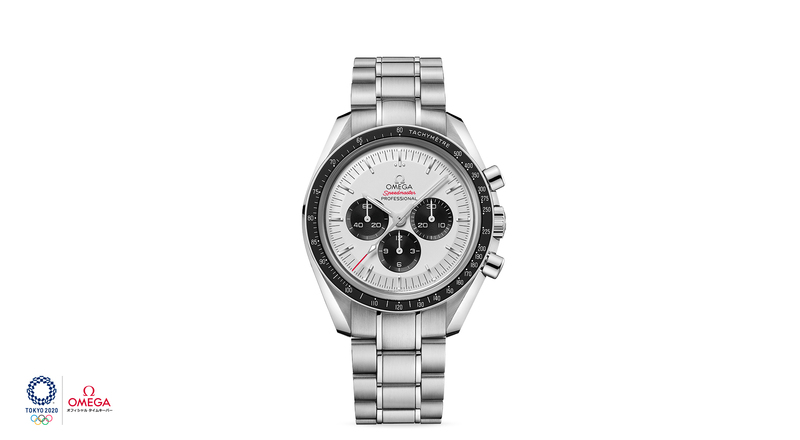 A total of 10.375 watches – quick maths. They all feature sapphire crystal glasses up front and a closed case back engraved with the 2020 Olympic logo. Though new releases, they feel very familiar – but we’ll get to that. 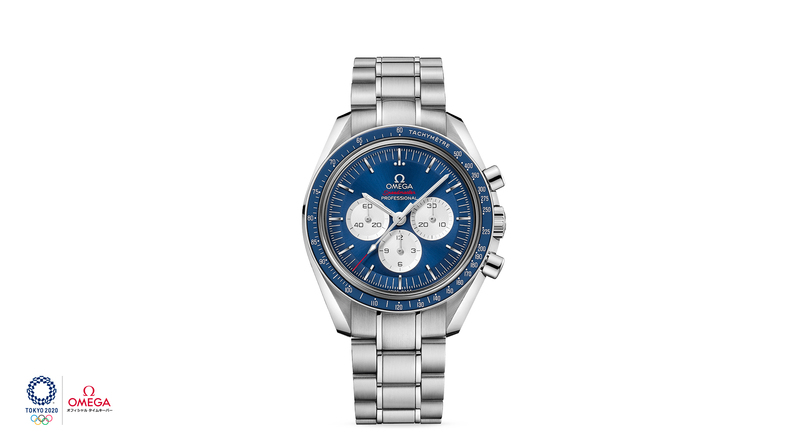 The 522.30.42.30.03.001 & 522.30.42.30.03.002 have a blue dial with silver subdials and a matching blue bezel insert, colors previously seen on the 2005 Gemini IV 40th Anniversary. 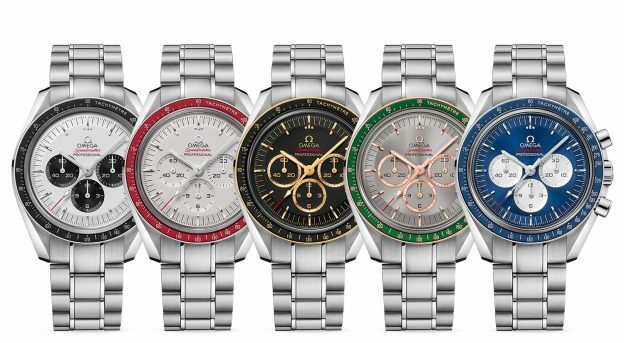 The 522.30.42.30.04.001 & 522.30.42.30.04.002 have a panda style dial, similar to the ones found on the 2003 Mitsukoshi and the 2004 Apollo 11 35th Anniversary. 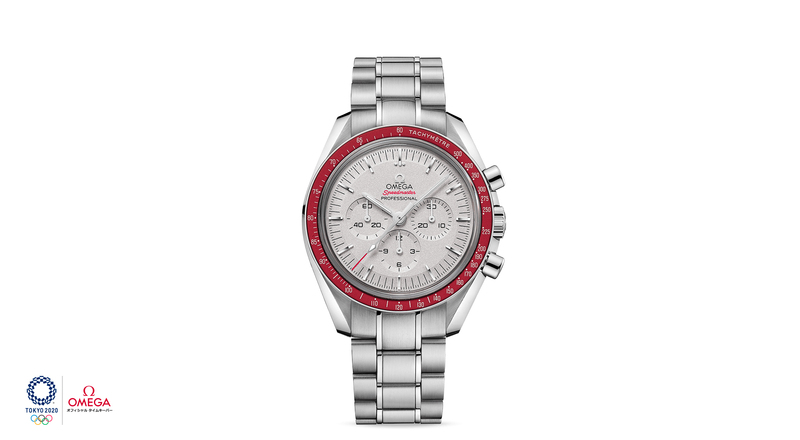 The 522.30.42.30.06.001 & 522.30.42.30.06.002 have a silver dial paired with a red bezel insert. A novel combination for the Speedmaster Pro, though it is not unlike the platinum moonphase limited edition of 2016. The 522.20.42.30.01.001 & 522.20.42.30.01.002 find their stainless steel case fitted with a yellow gold bezel, pushers and crown. 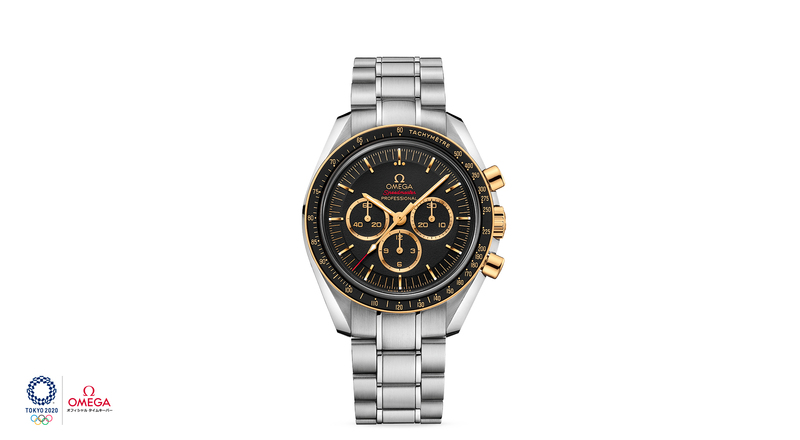 Paired with the gold rins around the sub dials, it very much feels like a yellow gold version of the 2006 Apollo 15 35th Anniversary. 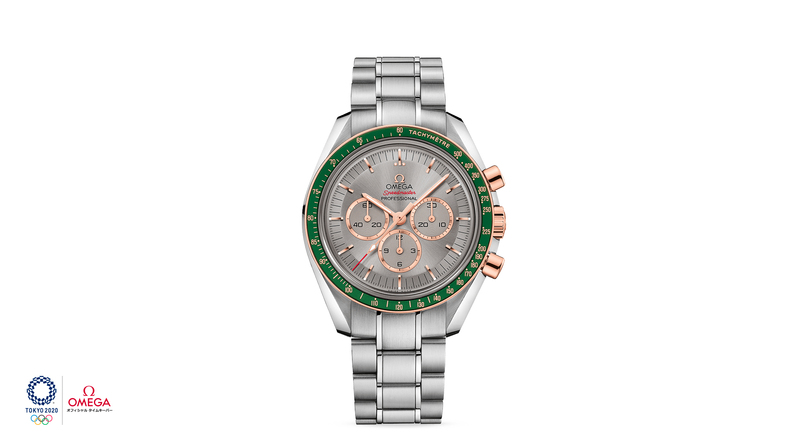 The 522.20.42.30.06.001 & 522.20.42.30.06.002 have a stainless steel case with the bezel, crown and pushers done in Omega’s proprietary Sedna-gold. Arguably this one is the most original of the five, though it still feels vaguely familiar.